The American Cheese Society was founded in 1983 by Dr. Frank Kosikowski of Cornell University as a national grassroots organization for cheese appreciation and for home and farm cheesemaking. Today there are over 1,200 members and 1,327 cheeses in annual competition. Established in 1929 to standardize culinary skills in America, today over 20,000 members receive training and certification from this outstanding culinary organization. For more than 100 years, the American Hotel & Lodging Association has been the sole association representing all segments of lodging industry properties and vendors. The American Institute of Food & Wine is a national non-profit organization dedicated to advancing the understanding, appreciation and quality of wine and food thanks the leadership of such culinary greats as Julia Child and Robert Mondavi. 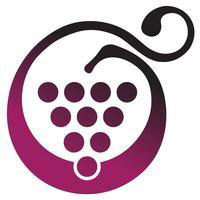 The American Wine Society was organized in 1967 as a non-profit, educational, consumer-oriented organization for those interested in learning more about all aspects of wine. Each November the Society hosts both commercial and amateur wine competitions as well as workshops and lectures. Over 3, 794 members have joined the 44 sections of this professional organization serving concierges from Japan to Brazil and beyond. The union supports communication between concierges with the motto "Service Through Friendship". This organization represents sales, marketing, and revenue professionals in all segments of the hospitality industry. Since 1978, the International Association of Culinary Professionals is a worldwide forum for the development and exchange of information, knowledge, and inspiration within the professional food and beverage community. After the destruction of WWII, concerned Europeans gathered together to form an organization to rebuild and to represent the Hospitality Industry. Today the Association represents the greatest hotels and restaurants around the world from Dubai to London. The Foundation proudly continues the legacy of James Beard, who was a champion of American cuisine. The Center is dedicated to appreciating the chefs and vendors who help to sustain our culinary heritage at events such as the James Beard House Dinners. Also honored are culinary writers. Known as the "other NASA", the association provides globally recognized education, consulting services, beverage industry services, event creation, professional qualifications, advanced training and certification. Sister chapters exist around the world. A legendary organization. The Association is the leading Culinology® food research and development organization that works to blend the art of cuisine with the science of food. The Monterey Bay Aquarium Seafood Watch program seeks to help both consumers and businesses make choices that support sustainable seas. Their recommendations indicate which seafood items are "Best Choices," "Good Alternatives," and which ones should be "Avoided". A "must" join. When a McDonald’s hamburger franchise opened in Rome, the Italian journalist Carlo Petrini was outraged. The result was an amazing worldwide movement to respect genuine cuisine. The mission of this organization is to promote the education, advancement and interaction of women in the culinary industry. Formed in 1993 by eight top U.S. women chefs and restaurateurs, WCR has over 2,000 members, offering a variety of networking, professional and support services.